Terry Dunbar had it all growing up: a loving family, a comfortable home, and drop-dead gorgeous looks. She’s a dynamic attorney and a successful business woman. Men fall at her feet and promise her the moon. The spirit of a long-dead ancestress visits her, but she takes it all in stride. Occupied with her law practice and business endeavors, she has little time for love interests or paranormal appearances. All that changes when she meets history professor Kyle Avery, hired to research her mother’s family tree. Kyle’s head is too deep in musty old records to notice Terry. Reports of ghostly sightings and haunted rooms hold his interest, interfering with her attempts to attract the nerdy but handsome historian. Terry wonders if she’ll have to give him a little push to get his attention. But when an angry specter gives Kyle the first disastrous shove, the race is on for Terry to find answers to old family secrets before malevolent spirits harm her family further. Is her heirloom sapphire cross the key to breaking the spell that binds the 18th century ghost to her world? 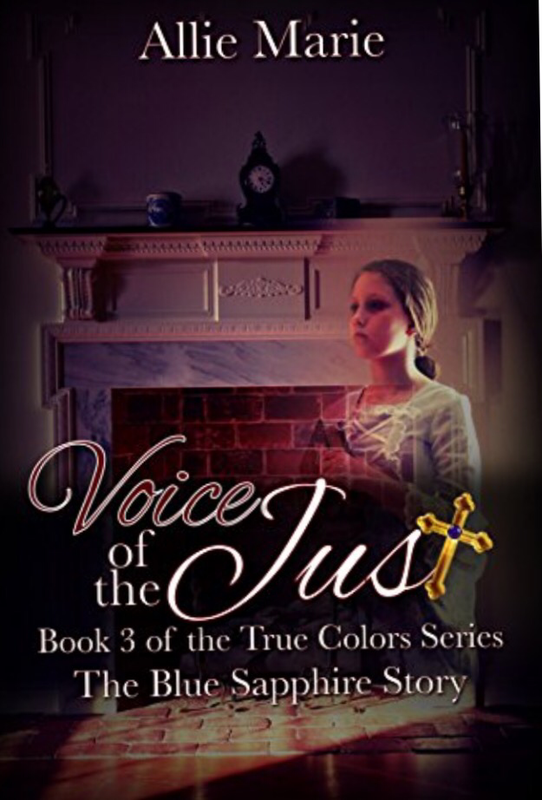 The author skillfully crafted the new edition in the True Color series keeping me turning the pages in this fast-paced read. I love history and genealogy so Allie Marie had me hooked with the first book. I can’t wait to see what happens in her next edition! If you love romance with ghostly elements then this is a must read book!